On Monday June 1 2015 I visited Agia Irini (Akdeniz) for the second time this year. Again, my friend Erol had set up two interviews for me. Ibrahim joined me in Erol’s cafe, along with my parents, Erol and another villager. Everyone drank Cypriot coffee, except for me; I had dondurma (Turkish ice-cream) instead. It was delicious! Ibrahim spoke Cypriot Turkish, Cypriot Greek and English! He was clearly very intelligent and worldly. Ibrahim was different to many of the other people I have interviewed, as he not only finished primary school, but high school as well. He even went to London to go to university; however, after one and a half years the tuition fees quadrupled and he could not afford to go anymore. In London he worked in a tailor’s shop with people from all over the world – Indians, Pakistanis, Japanese, as well as Turkish and Greek Cypriots. He told me that he would speak English with everyone, but Turkish with the Turkish Cypriots and Greek with the Greek Cypriots. “Many of the Greek Cypriots also knew how to speak Turkish and would speak to me in Turkish rather than Greek”. Surprisingly, Ibrahim’s proficiency in Greek became even better during his seven years in London, as he spoke it more often – having so many Greek Cypriot friends and colleagues there. Ibrahim remembers attending Greek weddings and funerals when he was growing up in Agia Irini, but the only time he entered the church was was when he attended a panayiri (a church festival) with his Greek Cypriot girlfriend of the time. His parents were fine with him dating a Greek Cypriot girl as it was common back in those days. “I lined up with the Greek Cypriots to kiss the hand of the priest, and after kissing his hand I drew his hand to my forehead, as we do when we greet a Hoca (Imam). The priest asked me if I was an Ottoman, I said yes, he understood and sent me on my way.” Ibrahim said that there were several other Turkish Cypriots who were also in attendance at the panayiri. “I will remember that story until the day I die,” he said with a big smile across his face. Ibrahim told me that since 2003 he has visited the south of the island several times to see his Greek Cypriot friends who fled Agia Irini in 1974 and settled in the town of Polemidia in the Limassol district. 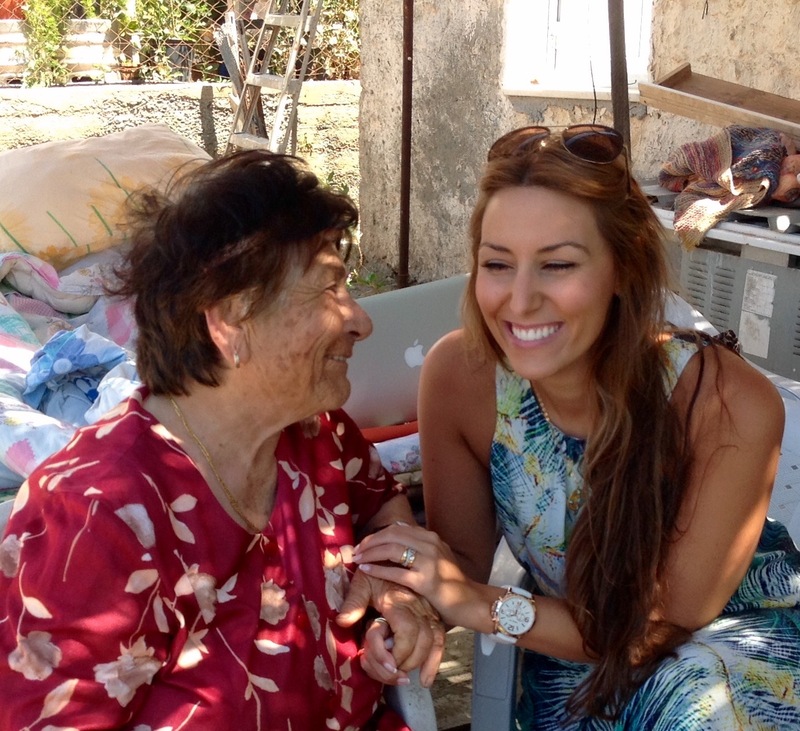 We then visited Feriha, an incredibly warm woman who makes you melt when she smiles at you. Feriha is the widow of Mehmet Emin, my grandfather Costas’s best friend. She remembered my parents and me from when we visited her last year to pay our respects after Mehmet Emin had passed away. She showed us the photo of Mehmet Emin and Costas that we had given her last year. She started to speak to my father in Greek about how much they loved each other. “They loved each other so, so, so, so much!” She said that after Costas left for Australia, Mehmet Emin, who at that time was not yet married, was very close to following his best friend to Australia. Feriha never went to school. She had two older brothers and several younger siblings. As the eldest daughter, she helped raise her younger siblings, so that her mother could go to work in the fields. Her family was terribly poor. Although she never had a formal education, she is a very wise woman. Every wrinkle on her face tells of her kind and insightful character. 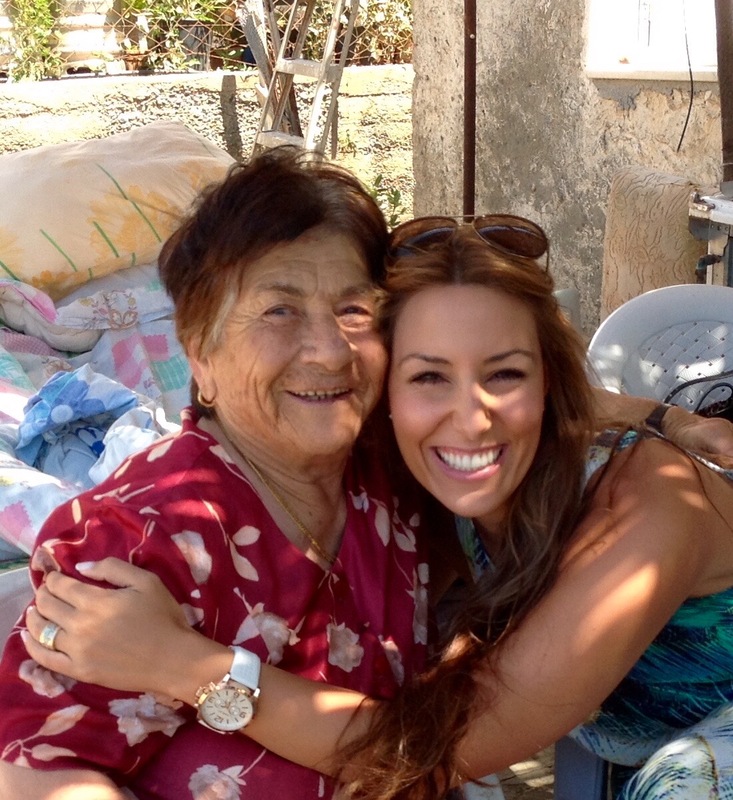 Feriha said that growing up in Agia Irini, she spoke Cypriot Greek just as well as Cypriot Turkish. She worked on the farm and she and her friends would sing while they worked together. “The Greek and Turkish Cypriot women would sing both Greek and Turkish songs together! They were such good friends.” They were so close, in fact, that Feriha grieved terribly when her Greek Cypriot friends left the village in 1974. 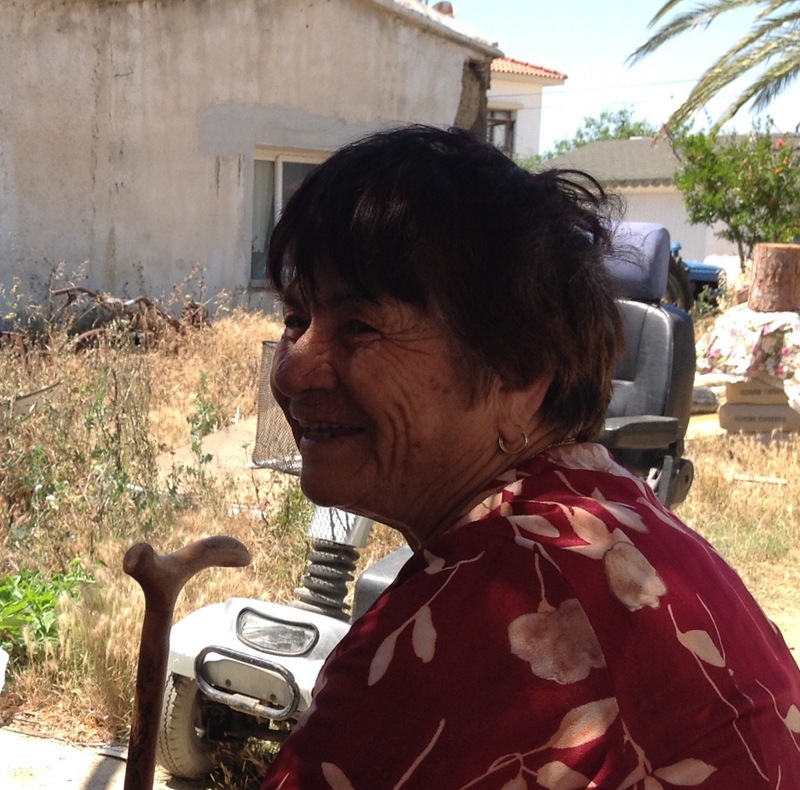 For many years the Turkish Cypriot women who remained in the village tried to look after the farms that belonged to their Greek Cypriot friends, but eventually all of the citrus trees dies. “It became too hard, we all had children and needed to look after our families”. Looking after the trees of the ‘enemy’ was not her responsibility but she still carries that guilt with her, more than 40 years later. Similar to Ibrahim, and many others, after the border opened in 2003 many of her Greek Cypriot friends came to visit her. My great-uncle Iordanis even met her and her husband Mehmet Emin at the border once, and drove them to his house where he put on a big feast for them. “We were so happy, we cried and cried”, she said. 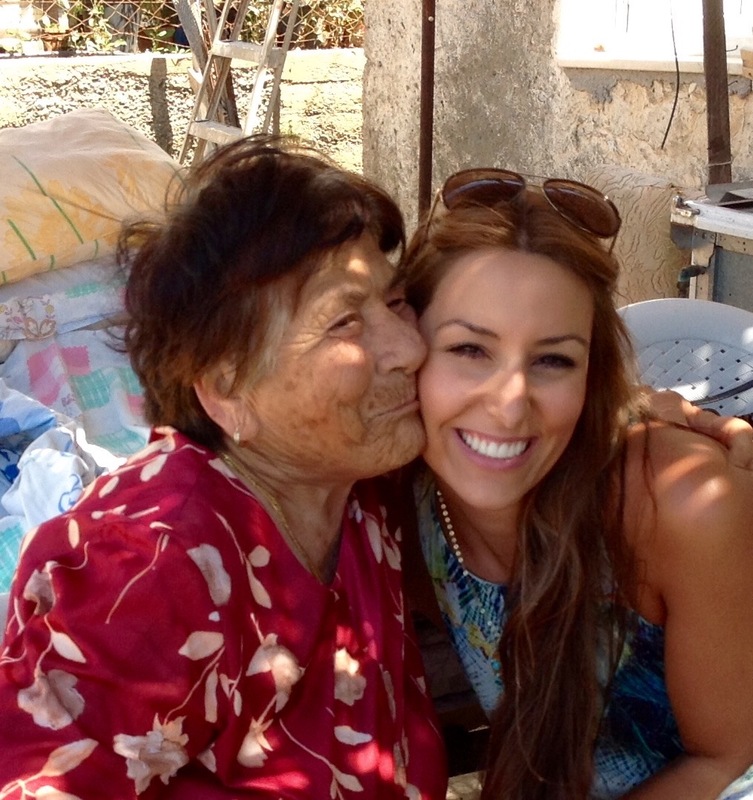 After the interview Feriha smothered me in hugs and kisses; it was the affection one only feels from family. Erol and his wife Şenel invited us to their home for a traditional Cypriot meal – Molohiya, made of jute leaves cultivated and grown in the spring months leading up to summer, where they are then harvested and the leaves are separated from the stem and dried whole. 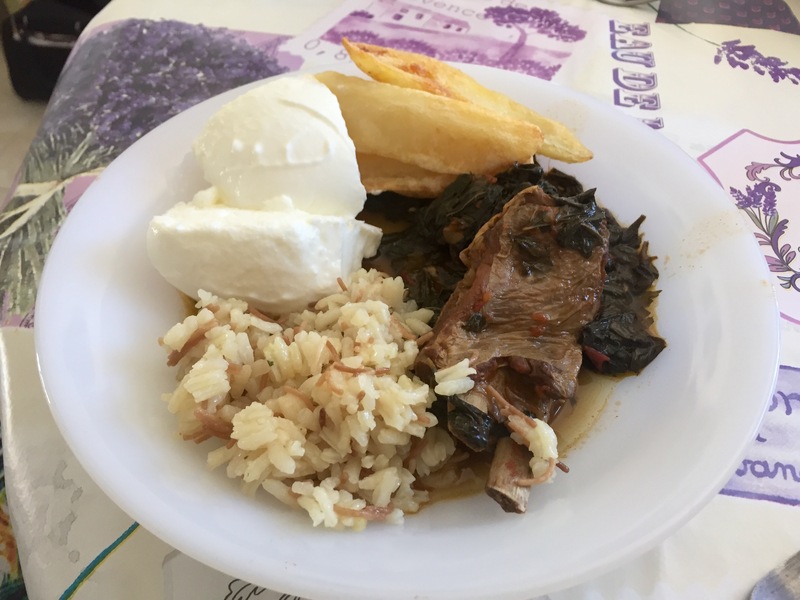 Şenel, prepared the dish with a tomato based broth and with lamb on the bone … My dad was so happy: “Finally, some traditional Cypriot food”! Erol mentioned that we were sitting in the house in which my grandfather’s best friend Mehmet Emin lived as a child – we were next door to my great-grandfather’s house! Although the front door was locked, Erol got us inside. My father was thrilled to stand in the house in which his father and uncles grew up. I was thrilled too!